Holiday Party & Toy Drive December 4th! Join us for our West 3rd Street Annual Holiday Party, December 4th, from 6-9p.m. We have teamed with the C.L.I.M.B. Organization for a special toy drive that evening. Donate an unwrapped gift and receive 30% off our entire store, including sale merchandise. Special giftbags and give-a-ways for all participants. While you shop, enjoy the music by DJ Carter and complimentary drinks by Izze and Barefoot Wine & Bubbly. Don’t miss this evening of fun, refreshments and holiday specials. 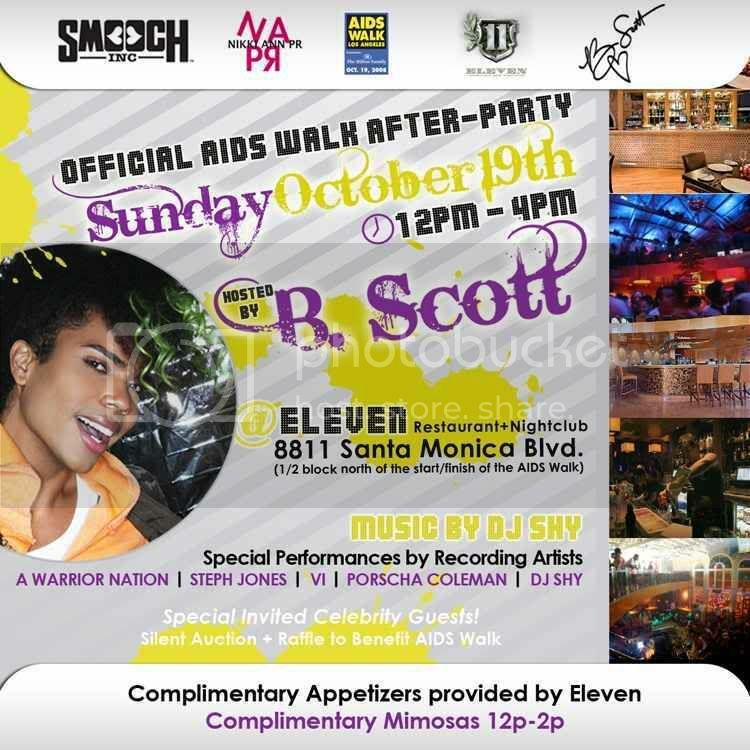 Going on right now….it’s the Official Aids Walk after party! Join B. Scott and his team of “Love Muffins” from 12-4p.m. at Eleven Lounge (8811 Santa Monica Blvd.) There will be special live performances, complimentary food and mimosas from 12-2p.m. Don’t miss this great event! Make sure to get your raffle tickets once you get there! Enter to win a special “Aids Walk” Edition gift bag from Terra with tons of goodies inside! 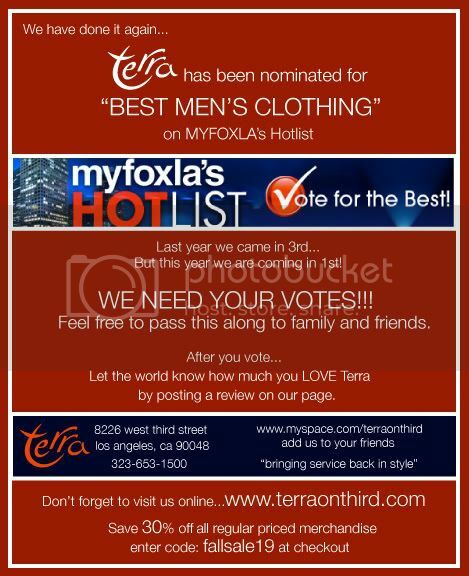 Click the logo below to vote now!!! 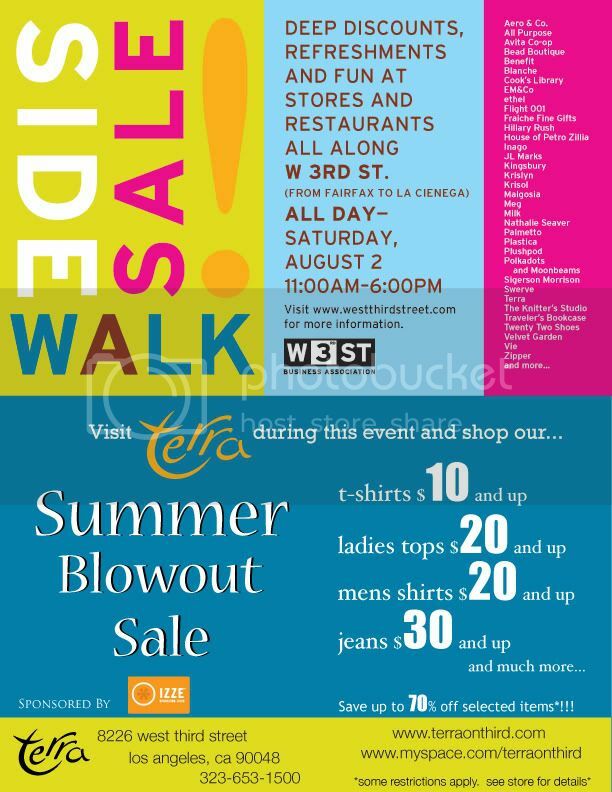 Come shop our 1st ever West Third Street Sidewalk Sale! Saturday, August 2, 2008 from 11-6p.m. Join us and our neighbors for an afternoon of refreshments, entertainment and tons of discounts. Don’t miss this great event! Go support our favorite kidswear line, Gimos, this weekend at Baby Celebration LA. This yearly event showcases a variety of kidswear designers, furniture and nursery designs, state of the art baby gear, and much more. Definitely a fun and fresh shopping experience for hip, new moms and dads and trendy tots. Gimos will have their Fall and Spring Collections available for purchase during the event. 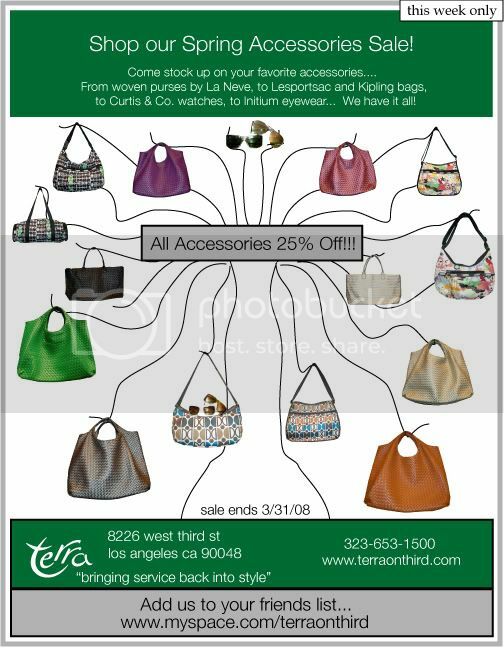 Mention Terra on Third and receive 20% off your purchase. Check out www.seasideproductions.com for more info on the event. Open April 12th from 10-6p.m. and April 13th from 11-6p.m. 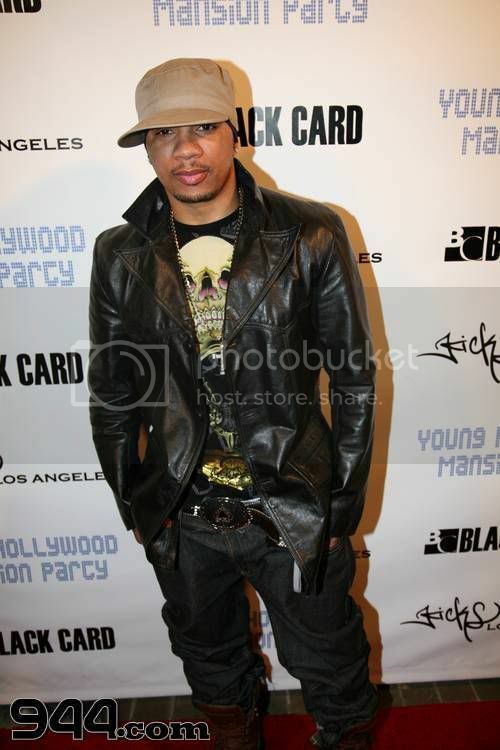 Terra was definitely “in the building” at the Young Hollywood Mansion Party Saturday night. This exclusive party, at a mansion tucked away in the hills, was the highlight of last weekend. With a few glitches here and there, the event for the most part proved very successful. Free vodka drinks, spectacular views, beautiful people and good music was the formula for an incredible evening. Terra helped sponsor the 200 VIP gift bags that were given away that night. 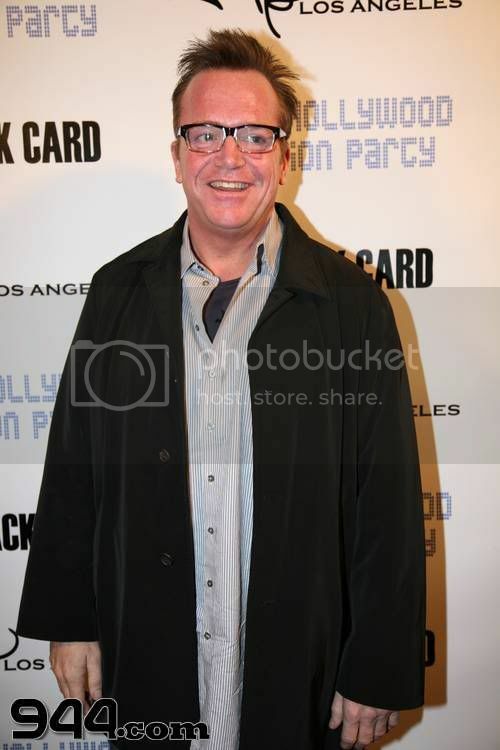 Check out some photos from the event below. 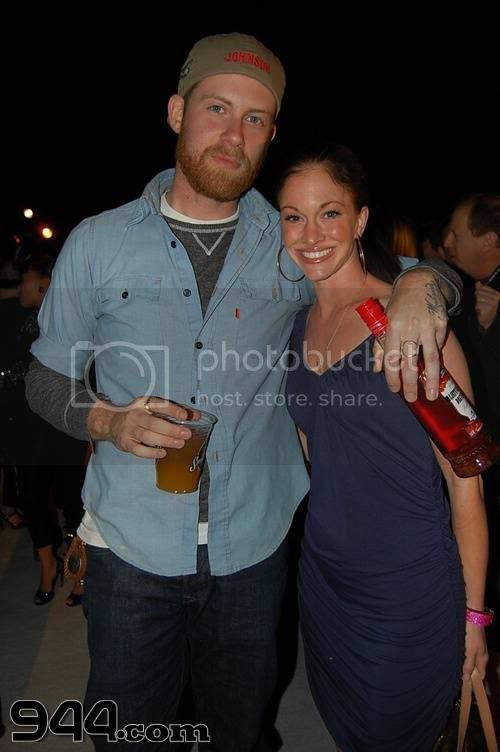 Special Thanks to NikkiAnnPR for getting us involved with the event!! !